Those of you suffering with chronic disease including fibromyalgia and chronic fatigue should seriously consider getting tested for the MTHFR gene mutations A1298C and C677T otherwise known as 1298 and 677. The MTHFR has been linked to many chronic diseases. I have recently been diagnosed with 1 copy of the A1298C and 1 copy of the C677T. Dr. Ben Lynch has been researching MTHFR and I appreciate all of his work. I have been increasing my antioxidants by eating cold pressed chocolate but that is just part of the puzzle. Remember, don’t go dutch with your chocolate. Eat the healthiest chocolate in the world, Beyond Healthy Chocolate. Once you have the MTHFR blood test available at Quest and Labcorp among other facilities, you can then decide your next step. One would be to consider drinking Dr. Ben’s MTHFRade drink. Electrolyte Concentrate: 6 to 9 capfuls per liter. Optimal Vitamin C Powder: 1 to 2 scoops per liter. D-Ribose Powder: 1 to 2 scoops per liter. Bioplasma Cell Salts: 30 tablets per liter. NOTE: If lactose intolerant, do not add. 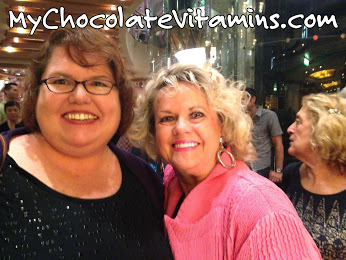 I am Lynette Henk, Beyond Healthy Chocolate lover and fibromyalgia sufferer. My goal is to help families improve health by eating right and taking care of yourself. If you suffer from Fibromyalgia, chronic fatigue, autism or ADHD, please consider having yourself tested. It is an affordable $150 test and most insurance now covers this basic test. You can also order a Genetic SNP test at 23andMe.com which gives you the MTHFR results as well as a host of snps that may help you figure out your personal health puzzle. I can be reached directly at 941-216-5727, [email protected] or at ColdPressedChocolate.com.